*A LOT!! * NEW Coupons! 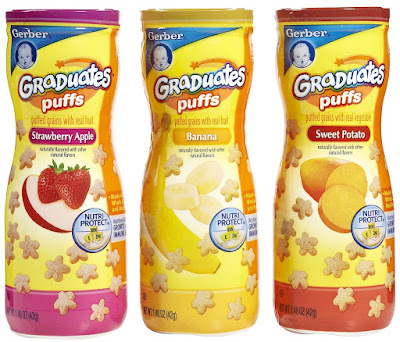 Gerber Graduates Puffs, HOT POCKETS, Yoplait Yogurt & MORE! Save 75¢ when you buy ONE (1) BAG any flavor Nature Valley™ Protein Crunchy Granola..Expires 9/30/2015.Save $0.75. Save $1.00 when you buy ONE (1) BAG any flavor Nature Valley™ Protein Soft Baked Granola Bites..Expires9/30/2015.Save $1.00. Save 50¢ when you buy ONE (1) any flavor Food Should Taste Good™ Real Good Bar..Expires 9/30/2015.Save $0.50. Save 75¢ when you buy TWO (2) any flavor Yoplait® products listed: Yoplait® Go-GURT® Yogurt, Yoplait® Kids Cup Yogurt, Yoplait® Trix® Yogurt..Expires 9/30/2015.Save $0.75. Save 75¢ when you buy any ONE (1) BOX Kix® cereal listed: Kix®, Berry Berry Kix®, Honey Kix®..Expires9/30/2015.Save $0.75. Save 50¢ when you buy ONE (1) BOX Reese's Puffs cereal..Expires 9/30/2015.Save $0.50. Save 50¢ when you buy any Old El Paso® Refried Beans..Expires 9/30/2015.Save $0.50. Save $1.00 when you buy TEN (10) CUPS any variety Yoplait® Yogurt (Includes Original, Light, Light Thick & Creamy, Thick & Creamy, Whips!®, Lactose Free, Greek, Greek 100, OR Greek 100 Whips!®)..Expires 9/30/2015.Save $1.00. Save $1.00 when you buy ONE (1) BAG any flavor Gluten Free Chex™ Granola Mix..Expires 9/30/2015.Save $1.00. Save $1.00 when you buy FIVE (5) BOXES any flavor Helper™ OR Ultimate Helper™ Skillet Dishes..Expires9/30/2015.Save $1.00. Save 75¢ when you buy ONE (1) any variety Old El Paso™ Taco Boats™ Dinner Kit OR Soft Flour Tortillas..Expires9/30/2015.Save $0.75. Save 50¢ when you buy TWO (2) BAGS any 3.7 OZ. OR LARGER Chex Mix™, Chex Mix™ Muddy Buddies™, Chex Mix™ Popped™, Chex Mix Xtreme™, Chex™ Chips, Bugles™ Corn Snacks, OR Gardetto's™ Snack Mix..Expires9/30/2015.Save $0.50. Save $1.00 when you buy THREE (3) Progresso™ products (excludes Progresso™ Pasta Bowl)..Expires 9/30/2015.Save $1.00. Save 50¢ when you buy TWO (2) any flavor Box or Pouch Betty Crocker™ Potatoes (Excludes Potato Buds™)..Expires9/30/2015.Save $0.50. Save $1.00 when you buy ONE (1) BOX any flavor LÄRABAR™, ÜBER™, or ALT™ OR RENOLA™ multipack..Expires9/30/2015.Save $1.00. Save $1.00 when you buy ONE (1) BOX Chex™ Clusters™ cereal..Expires 9/30/2015.Save $1.00. Save 75¢ when you buy THREE (3) any flavor/variety LÄRABAR™, ÜBER™, or ALT™ bars OR RENOLA™ pouches (excludes multipack)..Expires 9/30/2015.Save $0.75. Save 75¢ when you buy ONE (1) BOX Old El Paso™ Bold Flavored Stand 'N Stuff™ Taco Shells OR Dinner Kit..Expires9/30/2015.Save $0.75. Save 50¢ when you buy ONE (1) PACKAGE any variety 10.6 OZ. OR LARGER Bisquick™ Pancake & Baking Mix OR Bisquick™ Ultimate Pancake & Waffle Mix..Expires 9/30/2015.Save $0.50. Save 50¢ when you buy any flavor/variety Pillsbury® Toaster Strudel® OR Toaster Scrambles® Pastries OR Pillsbury® Pancakes (excludes Pillsbury® Heat-N-Go Mini Pancakes)..Expires 9/30/2015.Save $0.50. Save $1.00 when you buy any TWO (2) Pillsbury® Refrigerated Baked Goods Products..Expires 9/30/2015.Save $1.00. Save 20% on any single purchase of loose Tomatoes at participating retailers. 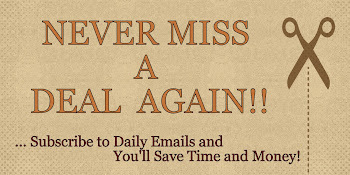 See offer info for complete details. Check back every Tuesday for a new Healthy Offer..Expires 9/7/2015.Save 20%. $1.50 off any one Cybele's Gluten-Free & Allergy-Friendly Cookies. Unlock when you complete 1 Cybele's activity.